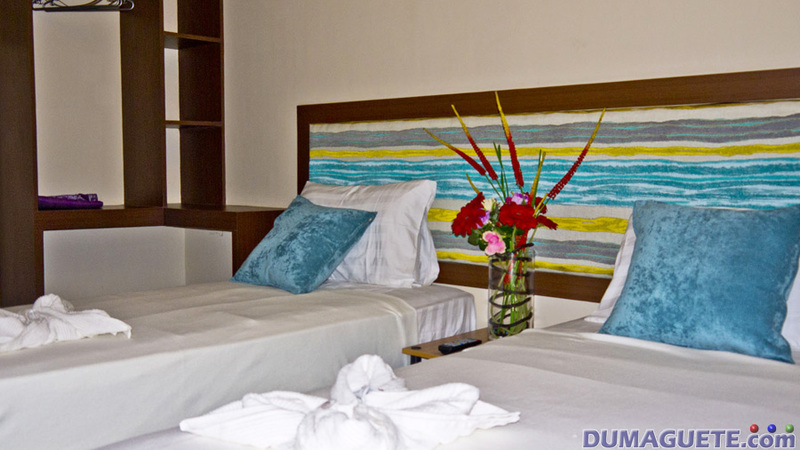 Dumaguete has become a well-known holiday destination in Southeast Asia. 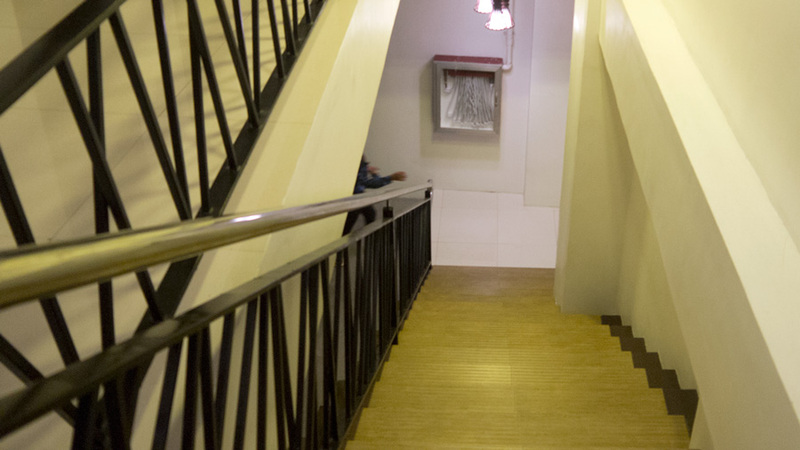 This demands more decent options for guests to stay in the city than it was 10 years ago, where a bunk-bed in a dormitory with 10 people and a shared toilet was enough. 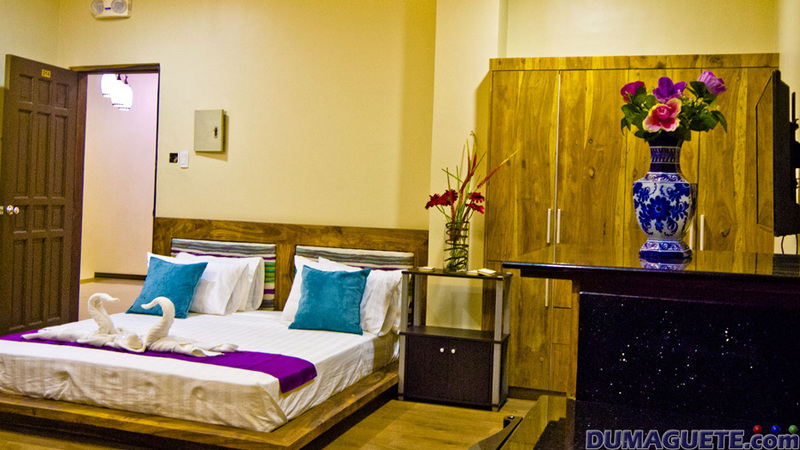 Golden Gate Suites – Hotel & Apartment meets all requirements a modern traveler demands. 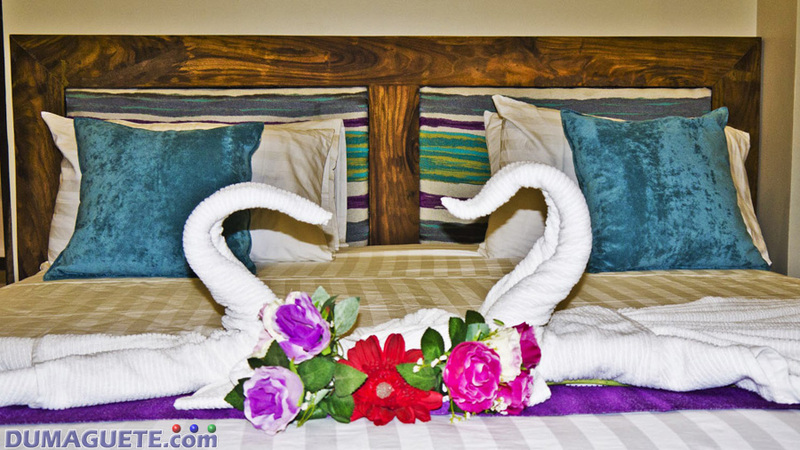 The rooms have a great value for the rate and the hotel-staff is friendly and attentive. No matter if you arrive via ferry or aircraft, you can ask for a pick-up from the sea- and airport for just a small charge. 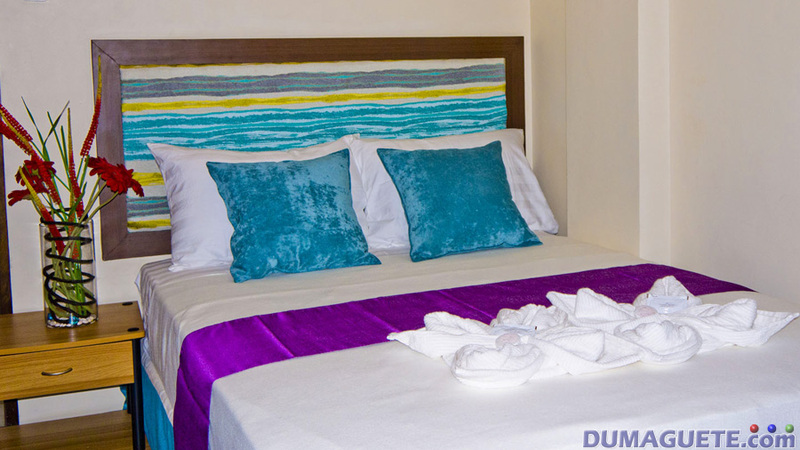 With only 34 rooms the guests of the hotel can be certain, that they receive best attention and assistance for their needs. 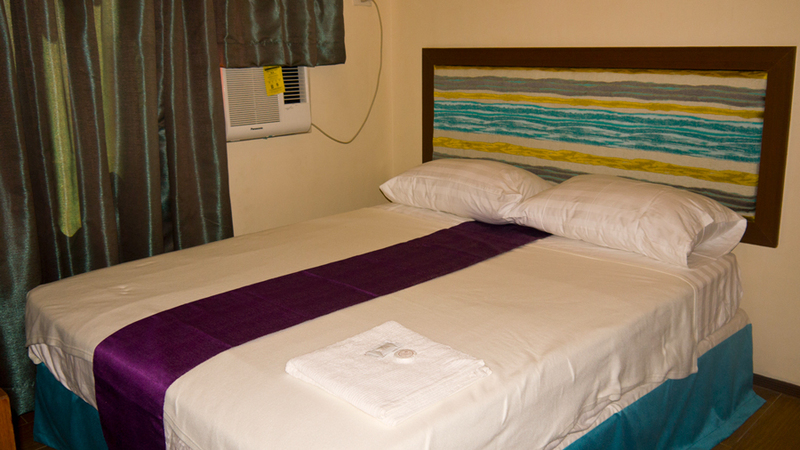 Golden Gate Suites has five different types of rooms, which are all fully air-conditioned. They also have a hot shower and a new 32-inch flat-screen TV. The access to internet goes via WiFi connection. 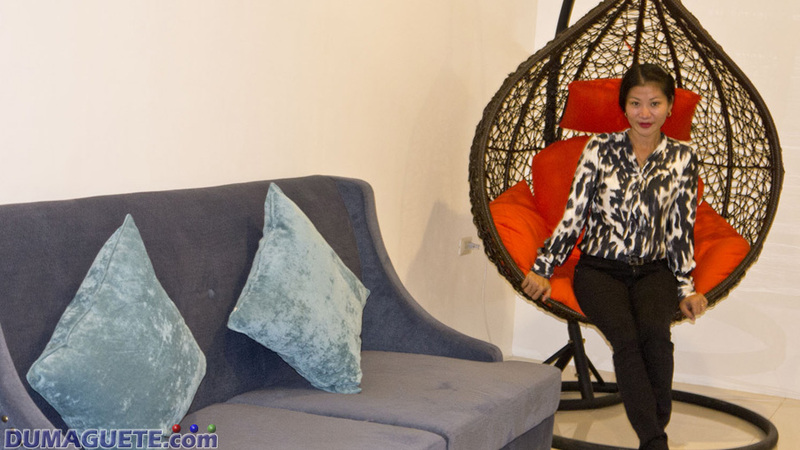 The Suite is good for 4 persons. 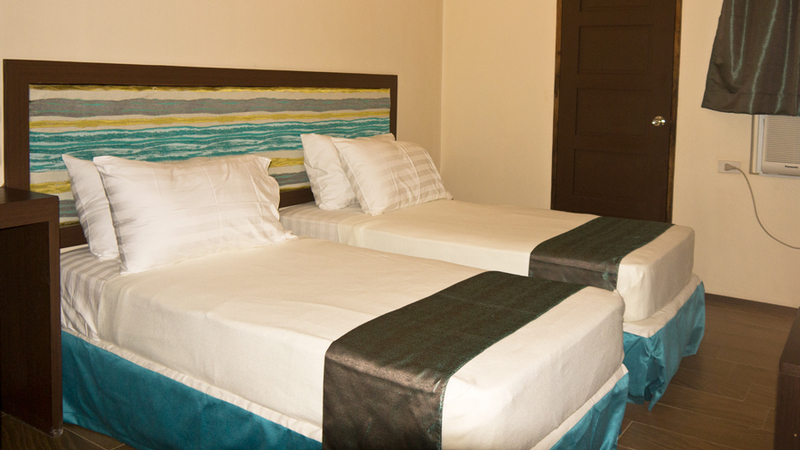 Surcharge for extra person with bed is 300 peso, without bed 200 pesos . 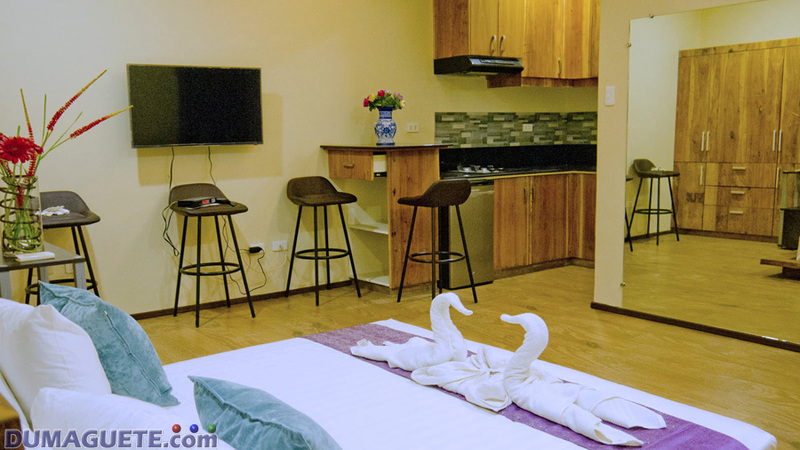 Golden Gate Suites in Dumaguete is right in the city-center, yet the rooms are quiet. 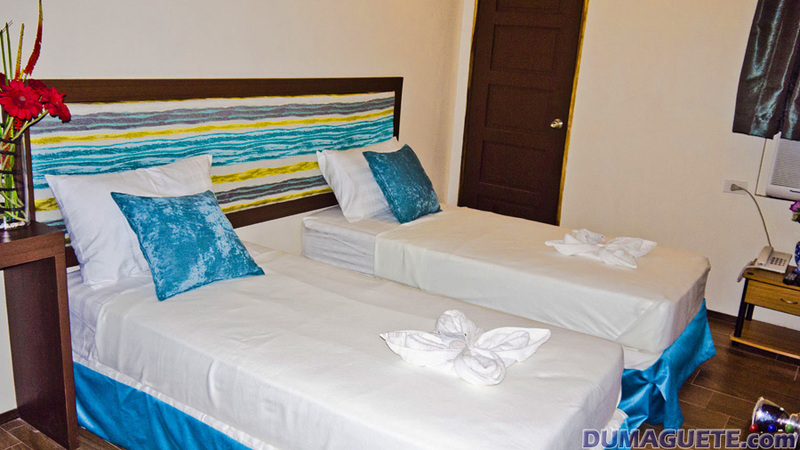 All tourist attraction in Dumaguete as well as the Rizal Boulevard are in walking distance. If one needs to go anywhere else, it is easy to flag down a trike 24/7. The bus terminal of Ceres Liner is no 10 minutes with a tricycle. 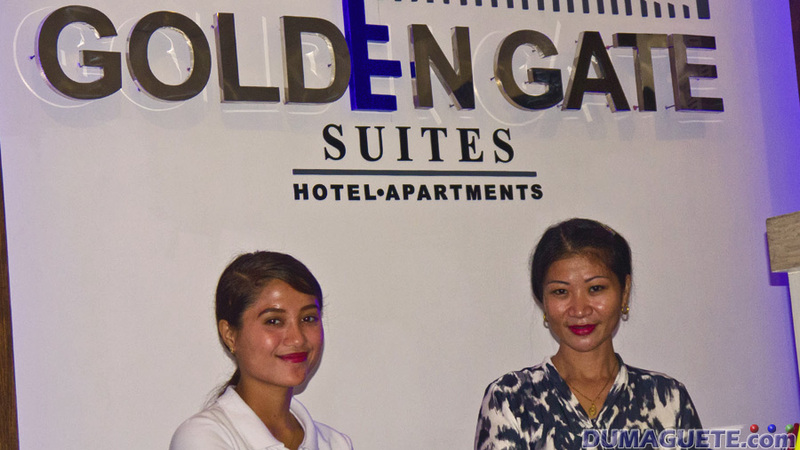 The facade of Golden Gate Suites – Hotel & Apartments in Dumaguete might not appear as fancy as some other places in the city, however, the quality lies within. 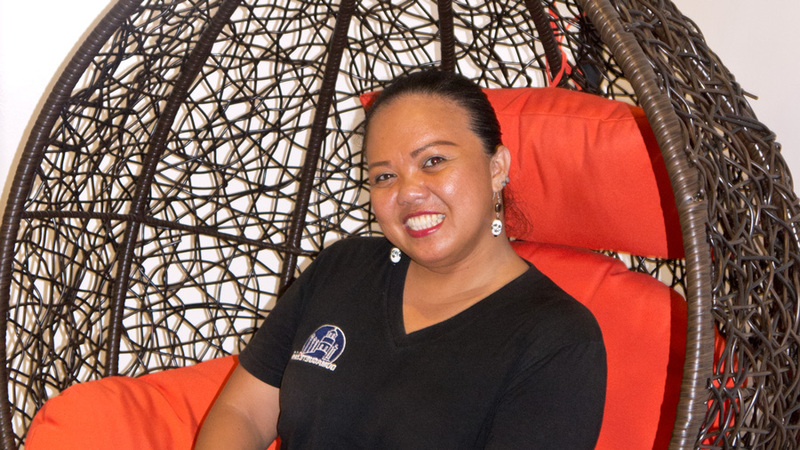 The friendly staff at the front-desk goes the extra mile to cater your needs.